Rice is the most widely grown tropical cereal, and over 400 million tonnes of milled rice is produced each year. The importance of rice has been recognised for many centuries - in India it was once known as 'dhanya' meaning 'the sustainer of the human race'. Rice is a staple food of South Asia and a vast number of people are employed in its cultivation. One of the world's most important staple crops and a major part in the diet of more than half the world's population, rice also has many medicinal uses. Not only is rice used in a variety of ways as a foodstuff, but it is also an ingredient in medicines and cosmetics, and has a role in crafts and religious ceremonies. Oryza sativa is cultivated in Europe, Africa, tropical and temperate Asia, Australia, and North and South America. 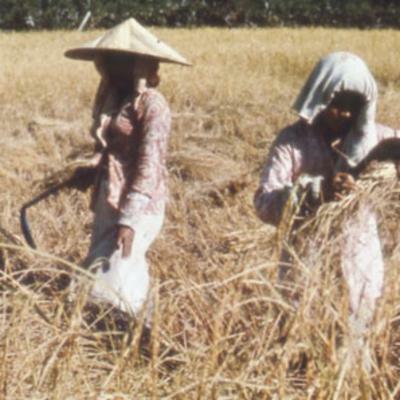 The history of rice domestication is not fully understood. 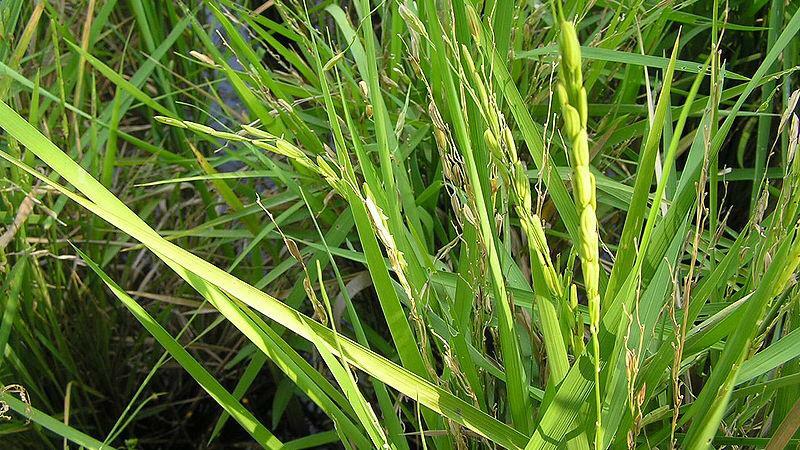 Its wild ancestor, Oryza rufipogon , grows throughout south and southeast Asia, and finds of rice at early sites in the region may derive from harvesting of wild grain, rather than cultivation. The earliest records of domesticated rice are probably those from the Lower Yangtze river valley of southern China, dating from about 6000 BC. 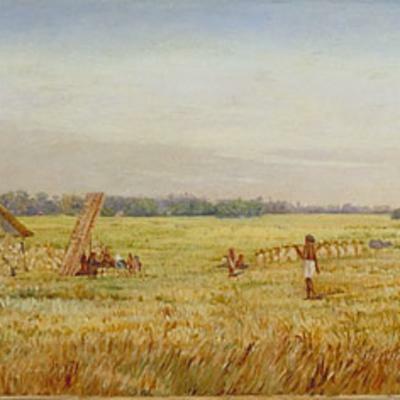 Archaeological and historical evidence suggests that rice spread slower than most crops, in part owing to its specialised need for abundant water. 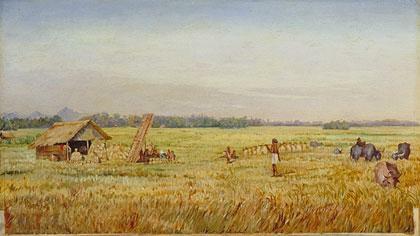 For example, rice did not become an important crop in North America until the late 17th century. Overview: A grass which can grow to over 1 m tall, or to 5 m long in deep water. Stem and leaves: The stem is upright and composed of a series of joint-like nodes, with a leaf growing from each node. Seeds: The seeds (or grain) grow on branch-like spikes which arch over. The grain is the most economically important part of the rice plant, and its endosperm is the final product consumed. 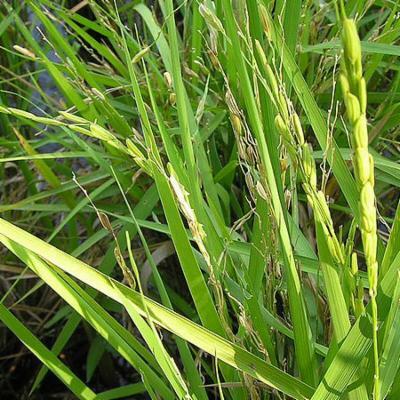 There are many cultivar groups of Oryza sativa of which the two most important are O. sativa 'Indica' and O. sativa 'Japonica'. O. sativa 'Indica' produces long-grain rice and is grown in tropical areas such as southeast Asia and the Philippines, whilst the short-grained O.sativa 'Japonica' is cultivated in temperate areas including Japan and northern China. Another species, O. glaberrima , is cultivated on a much smaller scale in Africa. 'Wild rice' is produced from an entirely different species of grass, Zizania palustris , and is harvested from wild plants in North America. 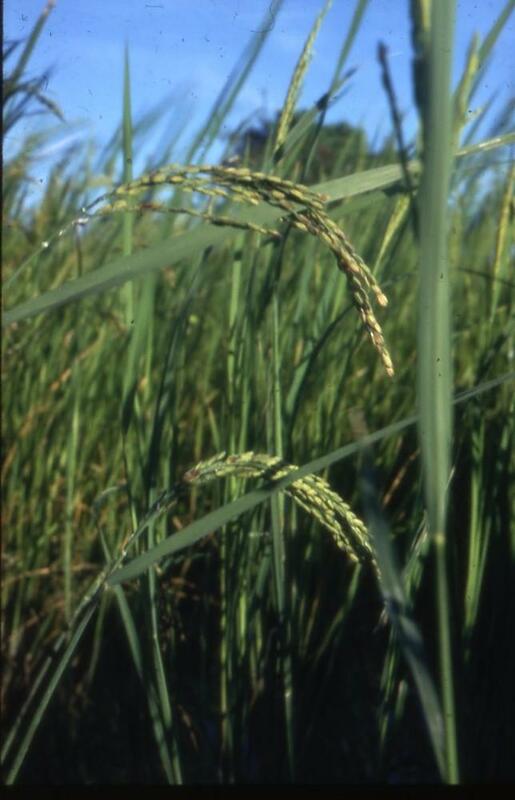 After being harvested, rice is de-husked to remove the inedible hull. The resulting grains are usually eaten as white, polished rice from which the bran has been removed. Whole 'brown' rice is mainly popular as a 'health food' in western countries. Rice is most often consumed as whole grains, boiled or steamed in water. Rice flour lacks gluten and so is usually consumed as noodles, as the absence of gluten results in poor quality bread. Rice cultivars with starch that is low in amylose are waxy or glutinous, and are used industrially as a thickening agent for sauces and puddings, and in eastern Asia for snack foods, such as rice crackers and cakes. The main rice-products used as medicines are made from brown rice and rice oil from rice bran. Some of the traditional medicinal uses of rice are supported by scientific studies. Rice can be used to treat skin conditions. The rice is boiled, drained, allowed to cool and then mashed. The rice is made into a paste or moulded into balls and these can be applied to boils, sores, swellings and skin blemishes. Other herbs are sometimes added to the rice balls to increase their medicinal effects. Sticky glutinous rice is often taken to treat stomach upsets, heart-burn and indigestion. Extracts from brown rice have been used to treat breast and stomach cancer and warts. They have also been used to treat indigestion, nausea and diarrhoea. Laboratory studies have shown that rice products may have anti-cancer properties and the potential to treat other conditions such as diabetes, kidney stones and heart disease. 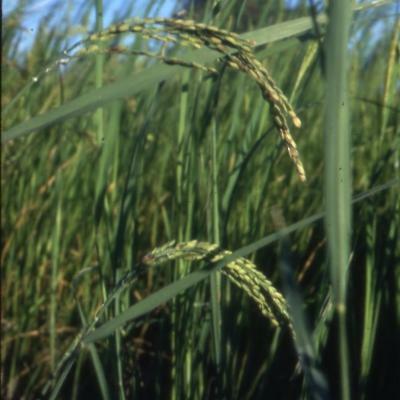 The medicinal properties of rice vary depending on the types used. Many of the beneficial compounds present in brown rice are absent from highly-refined white rice. Rice bran can contain up to about 25% fibre, which is known to assist the absorption of fats in the gut. It also decreases levels of cholesterol in the blood, aids digestion and can be used as a mild laxative. The oil from rice bran contains vitamin E and minerals. The vitamin E group of compounds in rice have antioxidant properties, and these compounds could explain some of the traditional medicinal uses of rice, particularly to treat cancer. Rice extracts, such as starch and oil, are used in a range of cosmetic and hygiene products. Rice starch can be mixed with honey to nourish the skin and can be used in cosmetics to reduce facial 'shine'. The oil is used in sun-care products to absorb UV-rays, as well as in conditioners for hair-care and in shower and shampoo products. It is also reported to have moisturising and anti-ageing properties. Extracts containing rice protein are added to hair products to give a feeling of volume and thickness to the hair. In some parts of the world, the husks and grains of rice are used for bedding, fuels and building board. Rice can be charred as filtration material or for charcoal briquettes. Bran oil is used in cooking, and has anti-corrosive properties. It is also used as a textile and leather finisher. India is one of the main rice bran processors. Rice straw is used for animal feed and bedding, and can be made into paper and board pulp. It is also used in horticulture as a mushroom growing medium, organic manure and a mulch. More rarely it has been used for rope and thatch. 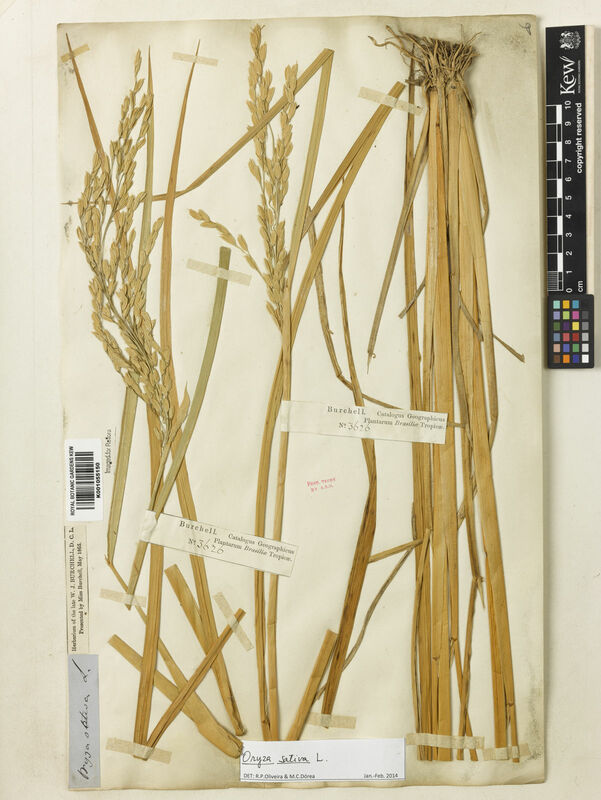 Four collections of Oryza sativa seeds are held in Kew's Millennium Seed Bank based at Wakehurst in West Sussex. To grow rice from seed at Kew, the seed is collected in August when it is brown and dry. It is then cleaned, with the husk retained, and used within one year. It has been observed that the rate of seed germination drops rapidly as the seed ages. In the Tropical Nursery at Kew, the seed is sown onto a mix of loam, coir and Silvafibre and covered with vermiculite. The seed can be sown quite thickly. After this, the pot is placed in a water-bath at 22°C. The application of bottom heat at 24°C speeds up germination. Germination then takes about a week, after which the plants can be thinned out if necessary. Fleece should be placed over the seedlings if it is known that spider mites are present in the glasshouse, as young seedlings are particularly prone to attack by them. The young plants can be fast-growing and benefit from large amounts of fertiliser. Chicken manure pellets can be pushed into the compost or broken up into the water-bath. About three weeks to a month after germination, the young plants are planted into their final large display pots in loam. The pots are placed in water that is 10-25 cm deep, and the water is kept at 22°C. Different methods of rice cultivation have evolved in different regions according to their climate and geography. 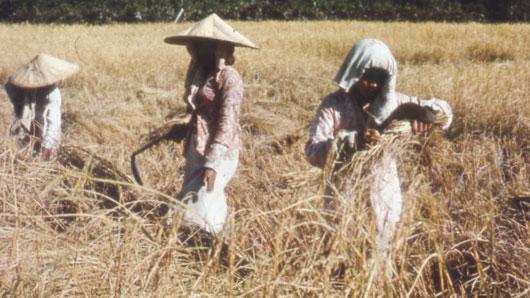 In dry or upland cultivation, rice is grown on hillsides as a rain-fed crop, similar to other cereals. Dry cultivation is mainly important in South America and Africa. In wet or lowland systems, most important in Asia, rice is grown on irrigated or flooded paddies. The seeds are often sown in a nursery and then transplanted into paddies. 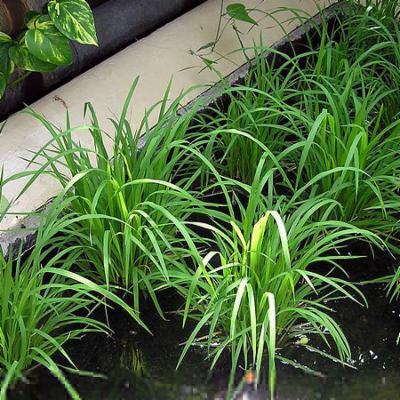 Deep-water rice is grown in water 50 cm or more deep, and is important in Bangladesh and other areas with deeply flooded river valleys. 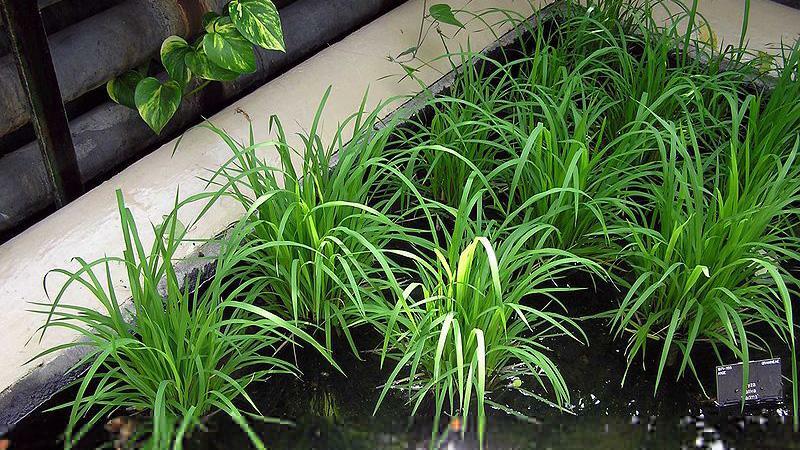 The rice plant has fast-growing stems that grow in pace with the rising water, up to a maximum of 4 m. Much of the nutrition for deep-water rice is provided by the silt deposits borne by the flood water. Oryza sativa can be seen growing in Kew's Waterlily House, where it is usually on display for most of the summer. Pressed and dried specimens of rice are held in Kew's Herbarium, where they are available to researchers by appointment. Details, including images, of some of these specimens can be seen online in Kew's Herbarium Catalogue. 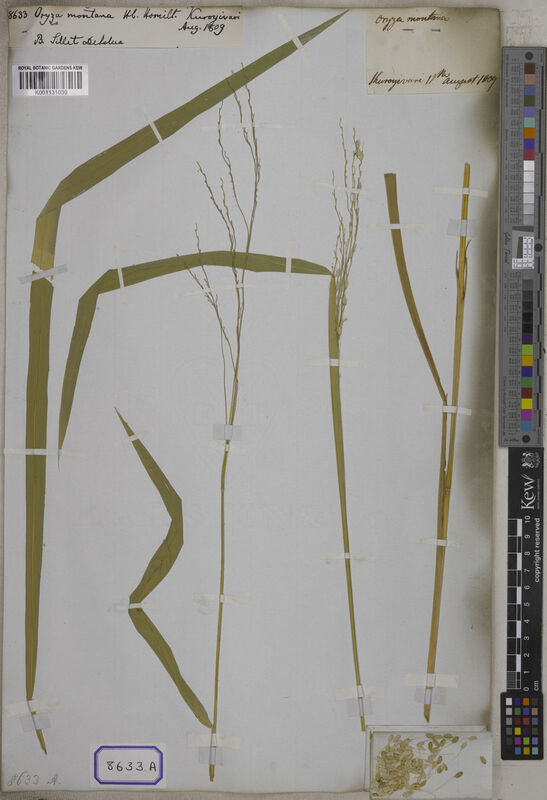 There are over one hundred specimens of O. sativa in Kew's Economic Botany Collection, including paper, brushes, starch, flour, seed, toasted rice and medicines produced from rice. Commonly in river valleys and other areas where water is abundant, but also cultivated in some dryland areas. Rice can accumulate arsenic if this is present in high levels in irrigation water. Annual. Culms erect, or geniculately ascending; 45-180 cm long; 3-20 -noded. Leaf-sheaths smooth; glabrous on surface. Leaf-sheath auricles erect. Ligule an eciliate membrane; 15-30 mm long; entire, or lacerate; acute. Leaf-blades 12-65 cm long; 4-18 mm wide. Leaf-blade surface scaberulous; rough adaxially; glabrous, or pubescent. Leaf-blade margins scabrous. Leaf-blade apex acute. Inflorescence a panicle. Panicle open; lanceolate; equilateral, or nodding; 20-50 cm long. Primary panicle branches appressed, or ascending, or spreading. Panicle branches angular; scaberulous. Spikelets solitary. Fertile spikelets pedicelled. Pedicels linear; angular; 2-4 mm long; scaberulous; tip cupuliform; bibracteate. Spikelets comprising 2 basal sterile florets; 1 fertile florets; without rhachilla extension. Spikelets elliptic, or oblong; laterally compressed; 8-11 mm long; 2.5-3.5 mm wide; persistent on plant. Spikelet callus glabrous; base truncate; attached obliquely. Basal sterile florets similar; barren; without significant palea. Lemma of lower sterile floret lanceolate; 2-3 mm long; 0.25(-0.5) length of spikelet; membranous; without lateral veins; emarginate. Lemma of upper sterile floret lanceolate; 2-3 mm long; 1 length of lower sterile floret; membranous. Fertile lemma elliptic; laterally compressed; 8-11 mm long; coriaceous; keeled; 5 -veined. Lemma midvein ciliate; hairy above. Lemma surface reticulate; glabrous, or hispid. Lemma margins involute. Lemma apex rostrate; muticous, or awned; 1 -awned. Principal lemma awn 0-160 mm long overall; limb scabrous. Palea elliptic; 1 length of lemma; coriaceous; 3 -veined; 1-keeled. Palea keels scabrous. Palea apex acute. Lodicules 2; lanceolate; membranous. Anthers 6. Stigmas 2. Caryopsis with adherent pericarp. Disseminule comprising a floret. Europe: central, southwestern, southeastern, and eastern. Africa: north, Macaronesia, west tropical, west-central tropical, northeast tropical, east tropical, southern tropical, south, and western Indian ocean. Asia-temperate: Soviet far east, Soviet Middle Asia, Caucasus, western Asia, Arabia, China, Mongolia, and eastern Asia. Asia-tropical: India, Indo-China, Malesia, and Papuasia. Australasia: Australia. Pacific: southwestern, northwestern, and north-central. North America: southwest USA, south-central USA, southeast USA, and Mexico. South America: Mesoamericana, Caribbean, northern South America, western South America, Brazil, and southern South America. An annual or rarely short-lived perennial of variable habit. Culms 45-180 cm. tall, 3-many-noded (up to 20), 6-8 mm. in diam., erect or ascending from a geniculate base, terete, hollow, smooth, glabrous. Leaf-sheath coarsely striate, tight when young, later somewhat loose, often somewhat spongy, green or sometimes tinged with brown or purple, smooth, glabrous; the lowest usually longer, the upper shorter than the internodes. Ligule (1·25)1·5-3 cm. long, triangular, acute, entire or split, usually glabrous, sometimes tinged with pink, purple or brown in some varieties or strains. Leaf-laminae 12-65 x 0·4 — 1·75 cm., linear, tapering to an acute point, bright green to glaucous, rather flaccid, glabrous or puberulous, rarely scattered with short hairs, smooth on the lower, asperulous on the upper surface; midrib usually distinct. Panicle up to 50 cm. long, erect, curved or drooping, very variable in density; rhachis obtusely angular, smooth, glabrous or scattered hairy; branches solitary or clustered, forming a variable angle with the rhachis (from being nearly erect to spreading), angular, scabrous. Pedicels up to 4 mm. long, stout, scabrous. Spikelets 8-11 x 2·5-3·5 mm., not deciduous (the articulation to the pedicel is usually completely solidified but there are, however, some strains in which the spikelets fall off at maturity), obliquely attached to the pedicel, very variable in shape, asymmetrically oblong to elliptic-oblong in lateral view. Glumes (the narrow rim at the base of the spikelet) varying in colour from pale white to yellow, purple or black. Sterile lemmas about equal in shape and size, usually 2-3 mm. long (very rarely up to 1/2 the length of the spikelet in certain forms “winged varieties”), lanceolate, acute, glossy. Fertile lemma as described for O. barthii, sometimes coloured, usually awnless, sometimes awned (the awn often purple-pink, more rarely colourless). Sterile lemmas about equal in shape and size, usually 2-3 mm. long (very rarely up to 1/2 the length of the spikelet in certain forms “winged varieties”), lanceolate, acute, glossy. Fertile lemma as described for O. barthii, sometimes coloured, usually awnless, sometimes awned (the awn often purple-pink, more rarely colourless). 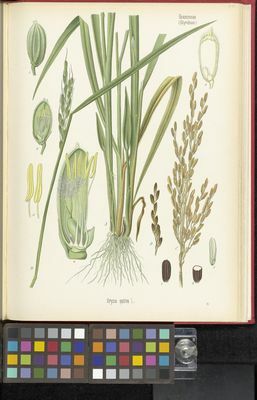 Paleas as described for O. barthii. Sexual organs and caryopsis similar to those of O. barthii. Widely cultivated on river flood-plains in W. Africa, and in a few localities grown as an upland crop. Cultivada en Colombia; Alt. 0 - 2000 m.; Amazonia, Andes, Orinoquia, Pacífico, Valle del Cauca, Valle del Magdalena. Clayton, W. D., Harman, K. T. & Williamson, H. (2006 onwards). GrassBase - The Online World Grass Flora. Portères in J. Agric. Trop. 3: 341, 541, 627.